In the suburbs, patients were unable to access hospitals or clinics for routine treatment. 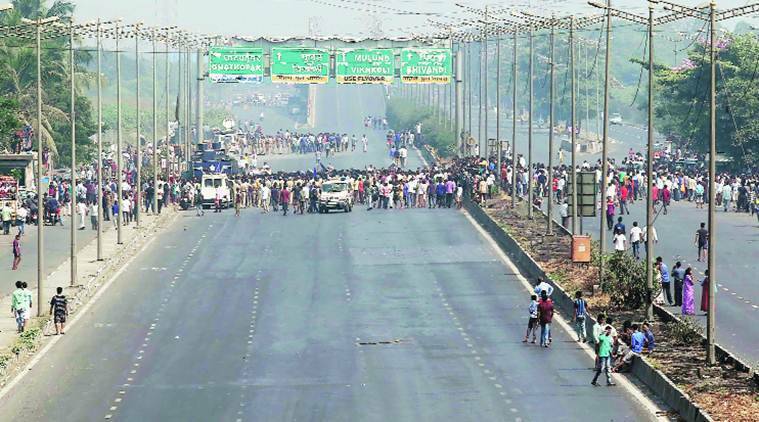 Major hospitals in the city saw a steep drop in the number of patients in the out patient department (OPD) on Wednesday with people unable to visit the hospital for treatment following a road and rail blockade to protest against the Bhima Koregaon violence in Pune on Monday. On Wednesday, KEM hospital, Parel, recorded 3,000 patients in the OPD till 4 pm. “Usual OPD is 7,000-8,000,” said the Dean, Dr Avinash Supe. The hospital functioning, however, was not affected. Supe said operations were conducted as per the schedule. Even as the bandh was withdrawn by Wednesday evening, Supe said the hospital staff members, slotted for the evening shift, were delayed due to transportation issues. “The situation is similar in other BMC hospitals,” he said. In J J hospital, the routine OPD functioned to full strength. “About 5,000 patients came for treatment, which is a regular figure. Our hospital is in south Mumbai where the bandh was not observed as strictly as it was in the suburbs,” said medical superintendent Dr Sanjay Surase. Assistant Commissioner J D More, who suffered a hand fracture on Tuesday, resumed duty on Wednesday to assist in controlling mob at Chembur. He was discharged from the hospital on Tuesday night after his left hand was plastered. More’s was injured while trying to control a mob by blocking the people with his hand. “He wanted to resume duty,” a director at Zen hospital said. In the suburbs, patients were unable to access hospitals or clinics for routine treatment. In Ghatkopar’s Rajawadi hospital, the turnout was low at the OPD. On Wednesday, eight operations were conducted at Rajawadi. Close to the hospital, protesters carried out rallies and road blocks in Ramabai Ambedkar Nagar. In Kurla Bhabha Hospital, too, the turnout at the OPD dropped by 50 per cent. The regular number of patients is 1,200. “Today (Wednesday) it was only 600,” the Superintendent, Dr Krishnakumar Pimpale said. Chembur constable Deepak Khedekar, who was injured on Tuesday is recuperating at Zen Hospital. Khedekar underwent a surgery to remove a glass piece from his left eye. “He will be discharged today (Wednesday). We have to wait to see if the vision in his left eye is restored,” said the Medical Director, Dr Roy Patankar.